I set a goal for myself last month to read this book, The Annotated Alice. I'm not even half way through. Alice in Wonderland has always been one of those weird children's stories where it was generally believed the writer must be smoking opium as he scribbled out the pages. Rampant with insane, irrational creatures bent on selfish mayhem and circular conversations, I've always wondered how the story could have stood the test of time and still be popular today. 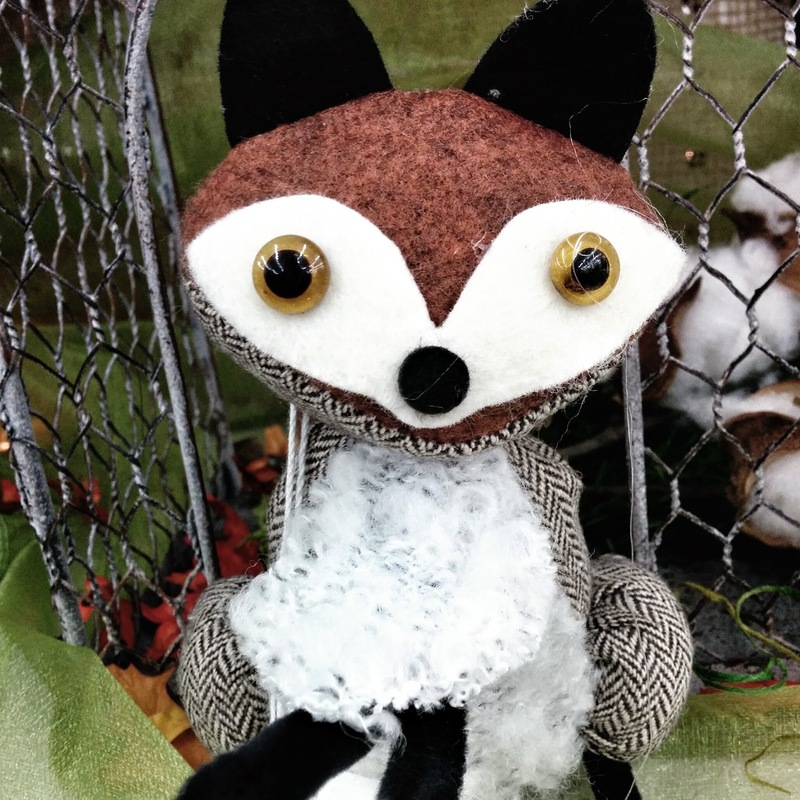 It may not be your favorite either, but if I mentioned "the white rabbit," or said, "He had a smile like a Cheshire cat," you would immediately know what story I was referencing. Even if you had never read the story. 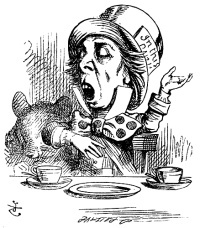 Published in 1865 for a very specific audience, the Alice's Adventures in Wonderland is full of inside jokes my modern mind finds difficulty in grasping. "In the case of Alice we are dealing with a very curious, complicated kind of nonsense, written for British readers of another century, and we need know a great many things that are not part of the text if we wish to capture its full wit and flavor. It is even worse then that, for some of Carroll's jokes could be understood only by residents of Oxford, and other jokes still more private..." from Introduction to The Annotated Alice. Another thing that I didn't know: Alice's Adventures in Wonderland is one story, but Through the Looking-Glass and What Alice Found There is another. I've seen movies of Alice chasing the rabbit down the rabbit hole, but I also remember a movie about a girl stepping though a mirror - I thought they were both the same story. Although I have been finding a few things in the story that I actually enjoy, I am really quite fascinated by the endless annotations that accompany this "definitive edition." It is a bit of a history ride. Hints are revealed about a real place from 200 years ago, what it was like to live there, who lived there, and how they played and laughed. 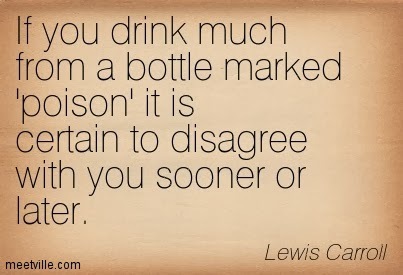 Carroll's poems are all darker parody's of well known poems of the day. Many of the most famous quotes of the book were popular catch phrases and on and on go the curious links of the story to it's audience. This still doesn't explain why a book which began as a gift for a little girl is still in publication today. But I haven't finished the story yet. I shall have to add this book to the pile on my bedside and hope to get through them all someday soon before the kids grow up! I have always been partial to "Through the Looking Glass." 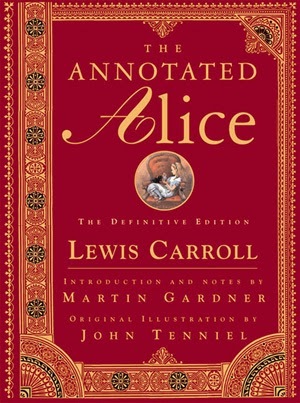 Perhaps I would find it fun, and enlightening, to read "The Annotated Alice." Thanks for the tip.